Cost: $6-$13.50, passes $25-$85, some free events. Student, senior and low income discounts available. Call 416.599.TIFF (8433); online at www.imagineNATIVE.org and in Person at TIFF Box Office. Details: The 18th Annual imagineNATIVE Film + Media Arts Festival presents over 100 feature films, documentaries, shorts, and music videos created by Indigenous filmmakers with almost three quarters of the films (72%) made by Indigenous female directors. 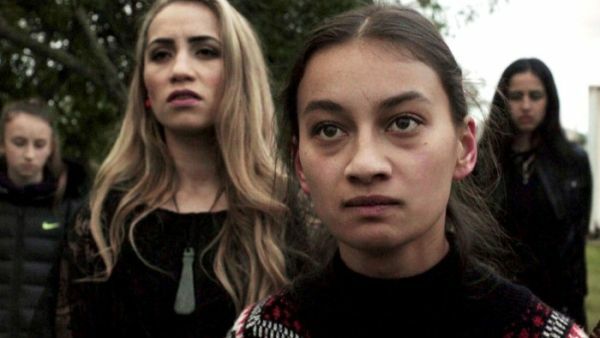 imagineNATIVE’s opening night gala on October 18 will be Waru a film directed by eight Māori women, telling the story of Waru, a young boy who dies at the hands of his caregiver. Each director tackles a ten-minute segment of Waru to create one complete, remarkable story through the lens of multiple family and community members as they deal with the horrific loss. On October 22, the closing night gala will be The Road Forward, a musical documentary by Métis/Dene award-winning filmmaker, Marie Clements. Highlights from imagineNATIVE’s feature film programs include Indictment: The Crimes of Shelly Chartier, the true-crime story revolving around a captivating reclusive woman from a small northern Manitoba reserve whose catfishing of an NBA superstar made international headlines; Sweet Country, from director Warwick Thornton and starring Hamilton Morris and Sam Neill in a period western set on the Northern Territory frontier; Juliana & the Medicine Fish, starring Adam Beach and Emma Tremblay; Our People Will Be Healed, Alanis Obomsawin’s 50th film; and Kayak to Klemtu, the first feature film by Zoe Hopkins. imagineNATIVE will also include a diverse selection of short film programs including the return of The Witching Hour, the annual midnight horror/comedy series; Receptors, a series of experimental, dramatic, and documentary shorts; Ambient Light, shedding a light on the polar region with five shorts from Sweden, Greenland and North America; and Channel 51 Igloolik, celebrating 30 years of Inuit video art with a world premiere screening of Bowhead Whale Hunting with My Ancestors by Carol Kunnuk and Zacharias Kunuk – the first episode from the seven-part television series, Hunting with my Ancestors. Cree actor, humanitarian and activist Tina Keeper will receive the 2017 August Schellenberg Award of Excellence. Tina Keeper will receive her award at the imagineNATIVE Film + Media Arts Festival’s Awards Presentation on October 22 at the TIFF Bell Lightbox. imagineNATIVE will present A Wall is a Screen, a nighttime event that is part-walking-tour and part-film-screening that transforms the way people look at and interact with their city by projecting short films onto various surfaces. This will be the first time ever A Wall is a Screen will feature all Indigenous-made short films. imagineNATIVE’s music showcase The Beat, co-presented by Revolutions Per Minute (RPM), returns with live performances from Mob Bounce, Kayla Briët, Ziibiwan, and DJ Kookum, and a screening of eight music videos by Indigenous filmmakers and musicians. The Digital Media Art+Cade, sponsored by Rezolution Pictures/Schoolü, returns to imagineNATIVE with projects including: The Cache, a digital photo essay from the Ammaaq family, who live north of the Arctic Circle; Standing Rock: People and Pride, an audio documentary by Kim Wheeler; Coyote’s Crazy Smart Science Show, a video game testing the mental might of the player; Impossible to Contain, a 360 video doc about the aftermath of a diesel spill in the waters of Bella Bella, BC; Purity & Decay, a video game utilizing the popular Telltale adventure game style; Thunderbird Strike, a 2D sidescroller game with the player flying from the Tar Sands to the Great Lakes as a thunderbird protecting Turtle Island; He Ao Kotahi, a web series featuring Māori artists in Palestine; and XINONA, a digital animation essay set in an alternative universe where planets are made of kale, kombucha and beer. imagineNATIVE’s Art Crawl will include three different locations, showcasing eight exhibitions at seven different galleries. imagineNATIVE’s FREE Industry Series (October 19 to 21), presented by CBC and CBC Docs, returns with leading professionals from around the world teaching and discussing topics relevant to Indigenous media creators.